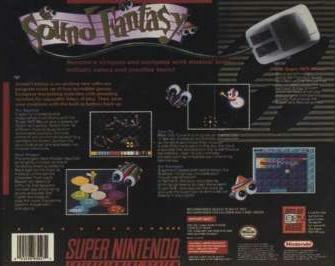 Sound Fantasy was a game planned for release around 1994. 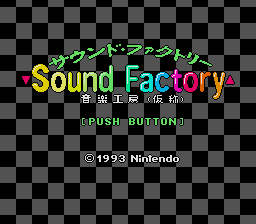 An early title for this game was Sound Factory. Thanks to an anonymous donor, we can play an early version of this game! Thanks also to LuigiBlood for the research on this title and facilitating its release. Before I start, much like the article on Socks the Cat Rocks the Hill, Nathan Everland provided an article for Sound Fantasy that has long been on the site. However, in through the course of time, new information has been released about this game, and the old article has proven to have some incorrect information. You can still access the old article here. 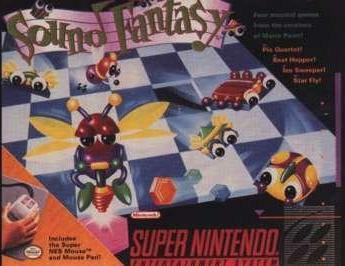 Sound Fantasy was planned for release in 1994 not in 1992 when Mario Paint was released. I'm guessing this mistake was due to the release date listed on the original Half.com description, which lists it at January 1991. 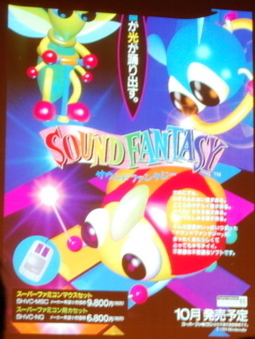 Sound Fantasy was a successor to Mario Paint, and probably was not in development until after Mario Paint was already out. 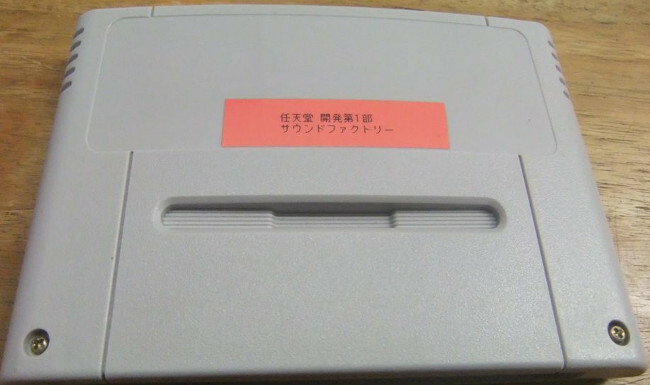 This title was not going to be used for the initial release of the SNES mouse peripheral. 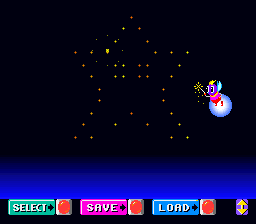 Anyways, this game was intended to be bundled with the SNES mouse, and one of the few games that was designed to be exclusively used with it. The box art for this game was already made up, and could be found on Half.com (probably sourced scans from old Vidpro cards). Clearly, this game was close to being released. 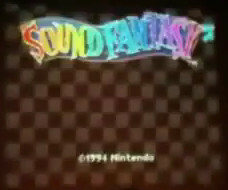 A prototype of Sound Fantasy, under the working title "Sound Factory" was uncovered by a someone from the Netherlands by the handle "steven78". He originally posted this find on a thread on Nintendo Age. He actually had two prototypes, both which were sold on Ebay. The first was sold to a Japanese collector, the second to an anonymous person who has kindly allowed the ROM image to be released. 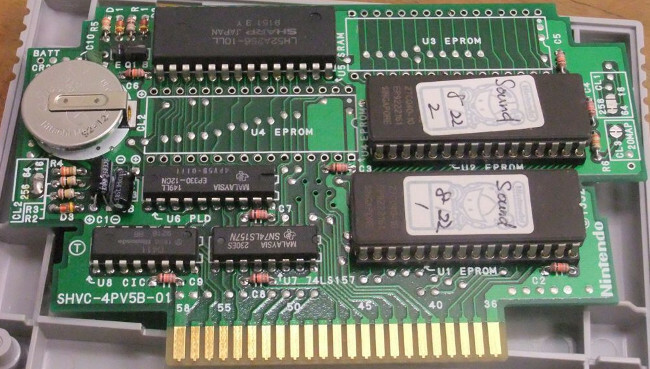 The labels on the chips have "8/22" on them, presumably for August 22nd (1993 or 1994?). The handwriting on both prototypes is the same, indicating that the prototypes were probably made up by the same person. Closeup of the label. 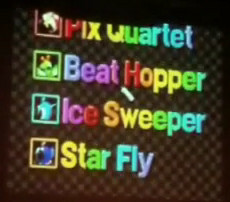 It says 任天堂　開発第１部　ソウンドファクトリー "Nintendo Development Part 1, Sound Factory"
Sound Factory has three of the four game modes that are in the final version of the game, namely Pix Quartet, Beat Hopper and Star Fly. 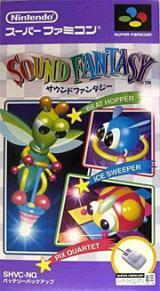 The final version of the game has an additional Arkanoid clone, called Ice Sweeper. 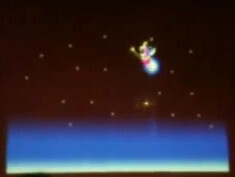 Here is a comparison of the prototype of Sound Fantasy, and the final version (from the 1up video). 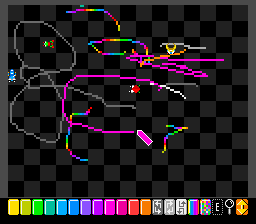 Basically you place various coloured pixels on the field, which allows you to manipuate the sounds and direction by four different coloured bugs. 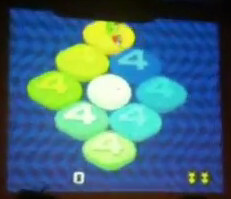 It appears to play similarly between the prototype and the final version. The final version appears to have some actual goals introduced into it, though. If you dig through the prototype's saved files, there is one scene with "Mario's 10th birthday", which actually plays the Happy Birthday song. 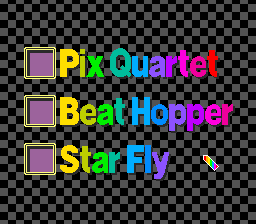 In Beat Hopper, you control a bouncing insect, as you try to clear discs by hopping on them. 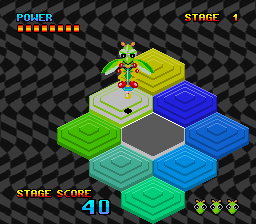 In the final version, the amount of times you have to hop on them is displayed as a number on the disc, while the prototype has stacks representing this. 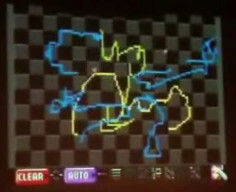 The final version also has what appears to be an endless mode. 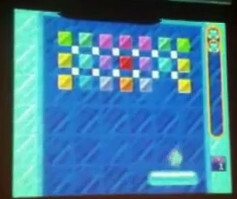 In this game, you have to place music notes on an invisble set of bars. Pretty much the biggest non-game in the whole set. While we can only speculate as to why Nintendo decided to cancel this game which was almost certainly complete and ready for market (Iwai himself claims he doesn't know), I have two theories. One is that this game would have been nearly impossible to market. There are no traditional Nintendo characters in this like Mario Paint, and let's be honest, a lot less variety and replayability. If released, it would have probably got near universal panning, except by select few that like tinkering with sound programs. Secondly, this game required the mouse, and most likely would have increased the price of this game with it included. Undoubtedly, if this came out and was a failure, it would have contributed to Gunpei Yokai's departure from Nintendo (though the Virtual Boy would still have been the biggest reason). If you want to try the prototype, get it from LuigiBlood's website. Also check on his page, because he has posted more videos. I am sure he will do an in depth analysis of it in the near future.